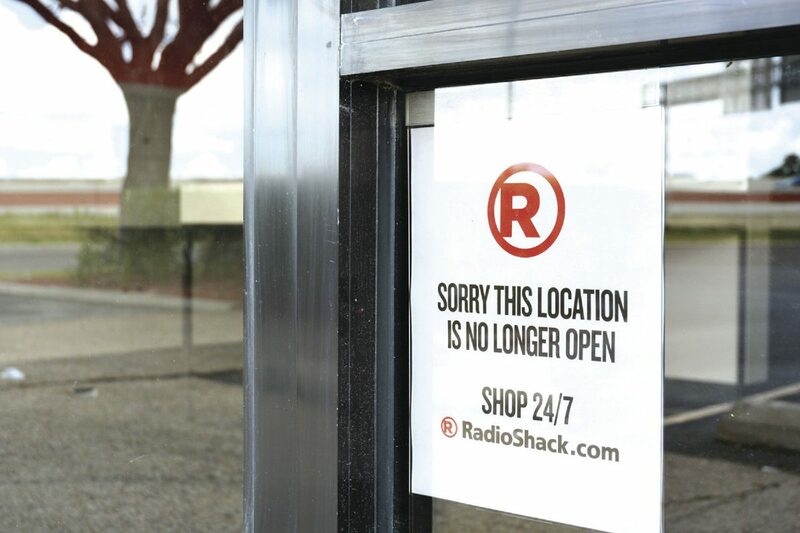 The small sign located at the Radio Shack at 601 S. Expressway 83 delivers the final word on the company quietly closing more than 1,000 locations over the Memorial Day holiday. HARLINGEN — Quietly over the Memorial Day holiday, troubled electronics retailer Radio Shack shut down more than 1,000 stores, including perhaps a dozen in the Rio Grande Valley. Retail outlets in Harlingen, San Benito, Brownsville and McAllen have closed. One Radio Shack, in Raymondville, remains open, an employee there said Thursday. It could be the last one in the Valley. Just two months ago, Radio Shack filed for Chapter 11 bankruptcy, saying at the time the company would close 200 of its 1,500 company-owned stores. That number then was raised to 552 stores. Radio Shack now operates just 70 company-owned stores, in addition to 425 stores owned by franchisees, like the one in Raymondville. The mass store closings over the holiday marked the end of what once was one of the world’s most ubiquitous electronics retailers. Radio Shack at one time had more than 7,300 locations in the United States.